Mr Jaitley, who is on a week-long visit to the US to attend the annual meetings of the International Monetary Fund and the World Bank, also said that the series of reforms like demonetisation and the Goods and Services Tax (GST) has put the Indian economy on a "far more stronger track". Washington: Finance Minister Arun Jaitley has defended the government's decision to maintain secrecy over demonetisation, saying transparency in this case would have been the "greatest instrument of fraud". "These are institutional reforms. These are structural changes. 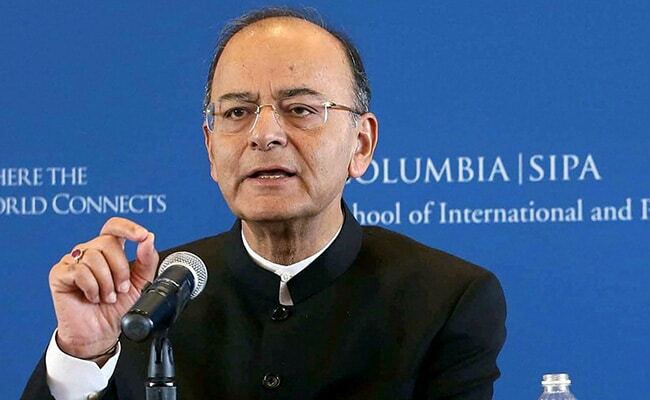 And these structural changes, I think have put the Indian economy on a far more sound track so that we can look forward for a much cleaner much bigger India economy in the days and years to come," Mr Jaitley said, addressing the students of the prestigious Columbia University in New York. He said that announcing the demonetisation initiative in advance could have resulted in people buying gold, diamond and land and going through various kinds of transactions with the cash they had. "Transparency is a very nice word. But transparency in this case (of demonetisation) would have been the greatest instrument of fraud," Mr Jaitley said. The finance minister was responding to a question on why Prime Minister Narendra Modi kept the demonetisation plan a closely guarded secret with only a handful of top officials privy to the move. "Secrecy was the essence of that decision making (process). I think, one of the greatest success of demonetisation was that the prime minister and the team -- obviously the RBI was involved, the finance minister was involved kept it a closely guarded secret," he said. "Otherwise in a process where a decision is taken, alternate currency is printed, thousands of people involved in the printing do not know why they are doing it, the currency is collected, tabulated and sent to the currency chest and one has to be ready with the alternate currency the moment it is demonetised and still we were able to keep it a closely guarded secret," he said. Emphasising that the implementation of demonetisation was a "success", Mr Jaitley said, "There were no single public unrest in its immediate aftermath". "This was the largest ever currency replacement exercise. There was inconvenience. Television reporters went and provoked people outside the banks, but still people said that though they were feeling the pinch of it, it was a good move and they support it," the minister said. Demonetisation had a lot of popular support, Mr Jaitley said, adding that as a result of its implementation the government managed a large part of the cash currency. "Digital transactions have doubled. A large number of people have joined the tax net," he said. Mr Jaitley said consistent steps had been taken to formalise and expand the more formal economy. "And wanting to formalise that economy, one after the other steps are taken against shadow economy," he said. "Some of these steps, the demonetisation, the GST because the GST could lead to de-stocking of existing stocks can have for a quarter or so a transient impact on manufacturing," he said. Referring to the series of economic reforms that India has undertaken since 1991, Mr Jaitley said the Indian model now seems to be emerging. Mr Jaitley said there was a consensus on reforms in India. He said the government had convinced the people that domestic investment was grossly inadequate. "What you require is an additionality of evidence. And therefore, you have to create an environment in India where people find India a friendly place to invest in," he said as he described the key hurdles in the process. "India has opened up in sectors where there was a scope for opening up. And not in a single case the government faced a protest," he said.